Product prices and availability are accurate as of 2019-04-22 17:52:01 UTC and are subject to change. Any price and availability information displayed on http://www.amazon.com/ at the time of purchase will apply to the purchase of this product. 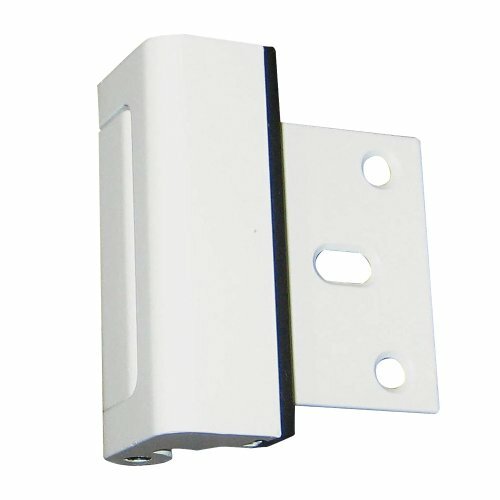 Even Houdini kids can't outsmart this childproof door lock, because it's designed to be mounted up high, out of reach! And because it's 12 times stronger than a deadbolt, it keeps unwanted visitors out while keeping little ones in. Rugged metal construction; ideal for exterior and basement doors. Easy to install (screw it into the door jamb) and use (simple pull to release). For childproofing and home security. Recognized as one of the best new child safety products by the National Safe Kids Campaign, a not-for-profit dedicated to preventing childhood injuries 3"L x 2 1/2"W x 1 1/4"H Installs in 5-10 minutes. Screws included; drill and screwdriver required.